Barratt Homes has completed the latest Kingdom Housing Association development, at The Heathers in Lynebank, Dunfermline. 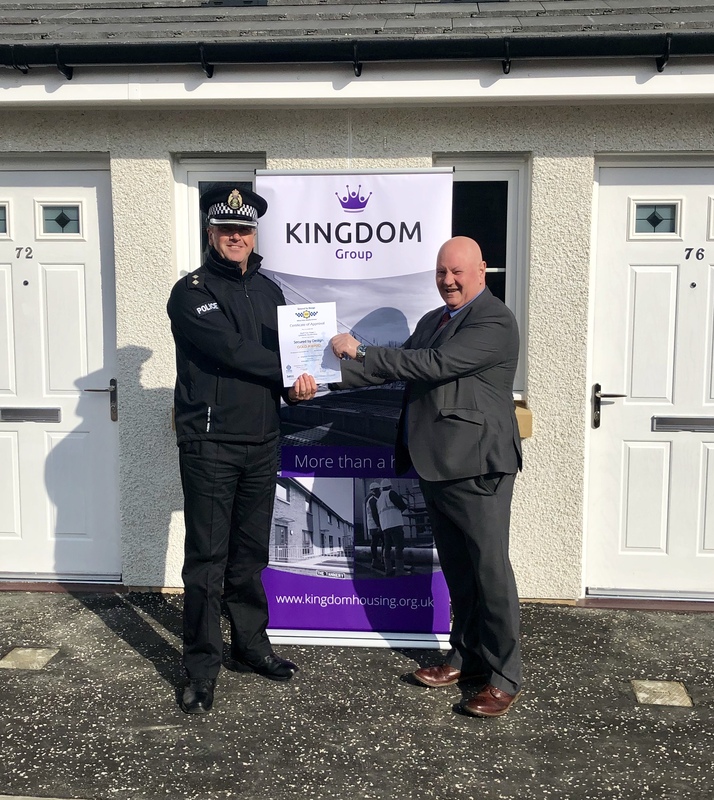 At the handover of the new development, Police Scotland awarded the project the Secured by Design (SBD) accreditation. Police Scotland’s National Designing Out Crime manager, Stuart Ward, explained that the Police SBD award’s proven crime prevention techniques include the layout and landscaping, such as incorporating natural surveillance and limiting through movement, and increasing the physical security of buildings, such as attack resistant doors, windows and locks to deter opportunist burglars. The benefits of building to SBD security standards are wider than just security in that significant reductions in maintenance and repair costs can be achieved. For police, falling crime reduces demands on services and enables us to focus on other priorities. The partnership working between Police Designing Out Crime Officers and architects / developers for new developments can have an exceptionally positive impact on enhancing communities, reducing the incidence and fear of crime, and improving the quality of people’s lives. 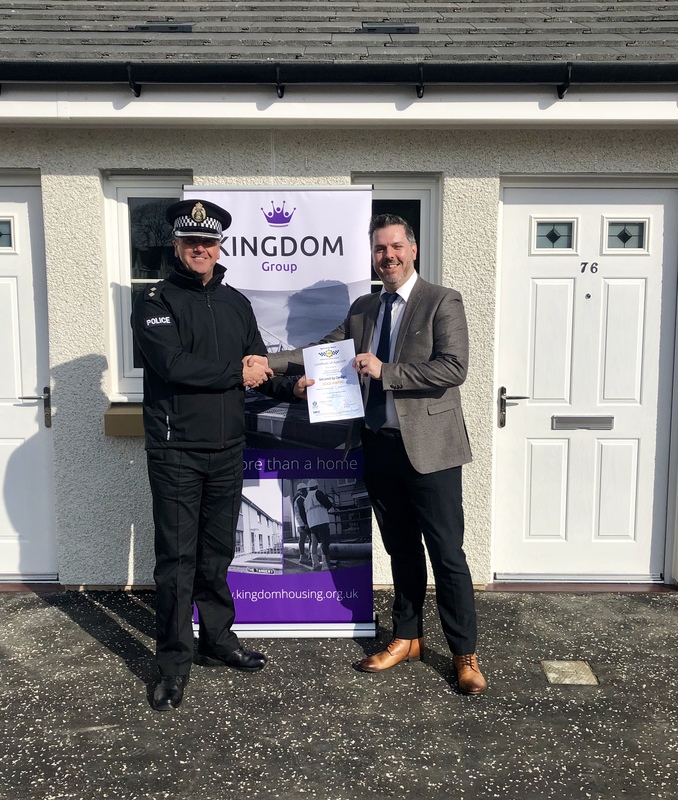 The Kingdom project was provided by Barratt through negotiation as part of its affordable housing agreement and has provided a mix of 2 and 3 bedroom homes that Kingdom will allocate as social rented homes. Barratt Homes developed 29 new homes for Kingdom as part of its larger development in Dunfermline, The Heathers, which will provide a total of 114 new homes. Jason Watt, technical director for Barratt Homes East Scotland, said: “The safety and security of our homes is paramount to us, and is a crucial part of the planning process when it comes to designing homes. Residents want to feel safe and secure in their new properties, and know that they are protected. The total cost of the Kingdom project was around £3.8 million, with approximately £2.3m provided to Kingdom, by the Scottish Government. In addition to achieving the secured by design accreditation, the project has been built to Scottish Government’s Greener Standards aspects 1 & 2 sliver sustainability standards, through the installation of photo voltaic panels, mechanical extract ventilation system and enhanced insulation standards. 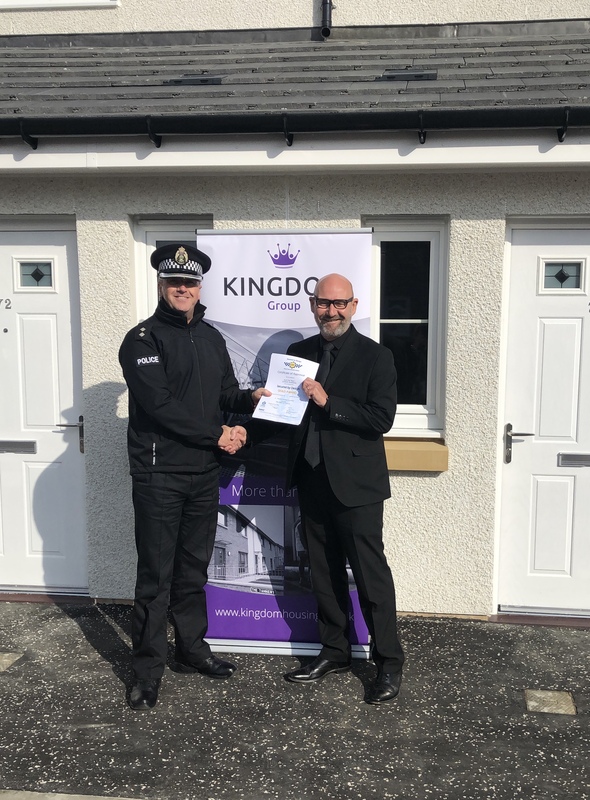 In a 2017 Police Scotland undertook a study of over 150 of Kingdoms developments, which have achieved the secured by design standards in Fife and found that there had been 87% fewer reported crimes reported in the Kingdom projects, compared to properties not similarly designed and protected.